The cover for the Ultimaker 2 and 2+ consists of an upper enclosure, a filter and a door. This cover allows you to have a completely enclosed and secure printer. These standardised HEPA H13 filters are specially designed for the Ultimaker hood. They help filter the air and particles (VOCs) potentially released during printing. Sold in packs of 2. This glass plate is only compatible with the Ultimaker 2. It helps support printed objects and diffuses heat from the heating plate. Sold as a spare part. The Bowden tube feeds the extrusion head of the 3D printer. This part is compatible with Ultimaker machines only. This part includes the nozzle and the heating block for Ultimaker 2 printers. The nozzle has a 0.4mm diameter and only fits Ultimaker 2 printers. This temperature sensor is compatible with the Ultimaker 2 and Ultimaker Original+ printers. Its purpose is to read the temperature in the nozzle (Hot End). PTFE Teflon insulation for Ultimaker 2 3D printer. Only compatible with the Ultimaker 2. The Hot End Pack for Ultimaker 2 includes all the elements of the 3D printer extrusion system. This pack is only compatible with the Ultimaker 2. Pack of fans for the Ultimaker Original. This parts pack is original and available from the manufacturer. Only compatible with the Ultimaker Original. End stops pack for Ultimaker 2 / Extended, compatible with + versions of the machine. Contains differents end stops for Ultimaker. Electronic mainboard with jumpers compatible with Ultimaker Original +, 2, Extended and Go. 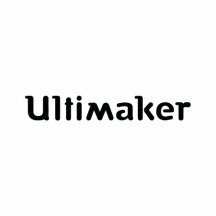 Heater cartridge for Ultimaker Original +. Manufacturer’s original spare part. Side fan for Ultimaker 2 machines. Part made by manufacturer for replacement on Ultimaker 2 machines, side fan can be replaced easily.